Top image, 2005 Toyota Prius. Bottom image, 2007 Toyota Camry. 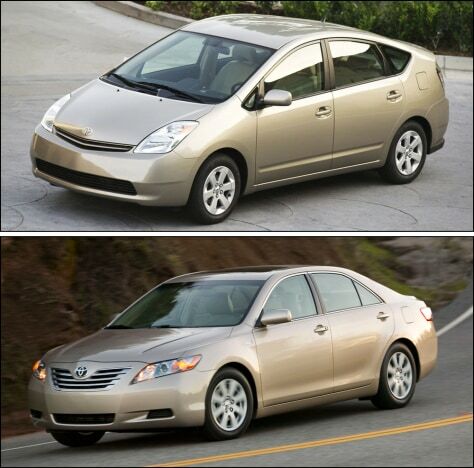 Both car models are on the recall list.